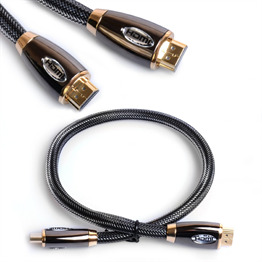 If you’re looking for a reliable HDMI cable to get the most out of your home media or streaming device, you’ve come to the right place – there’s no finer HDMI cable around than this! Unlike other offerings, which can be prohibitively expensive, this cheap HDMI cable has one of the most competitive prices around. 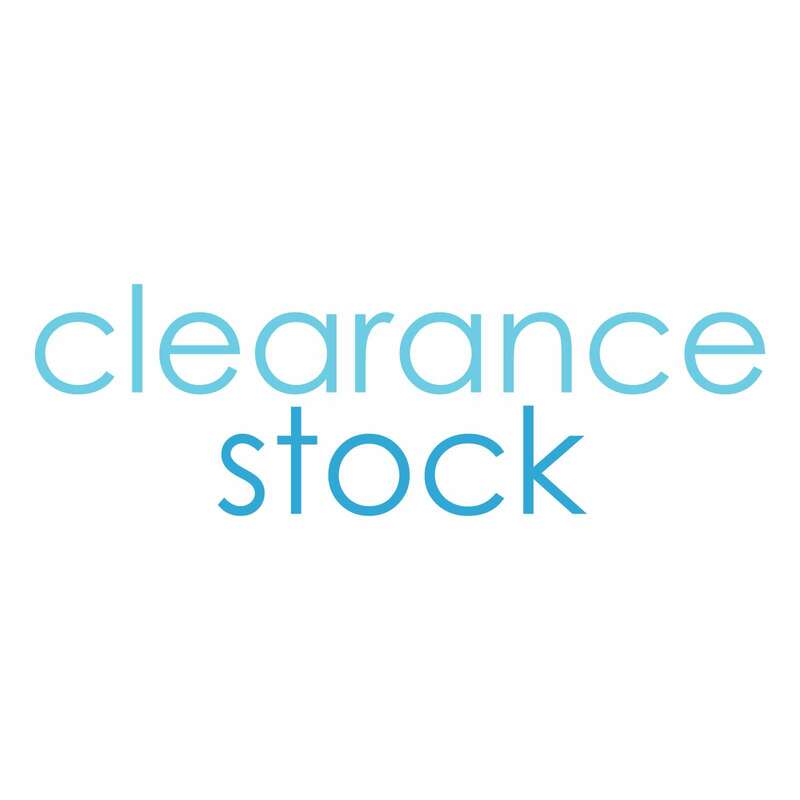 But don’t be fooled into thinking a cheap price means lower quality; it’s made from only the highest quality materials. A combination of treated copper and aluminium make up the body of the HDMI cord, which is then shielded with a sturdy layer of woven nylon mesh to reduce the risk of damage. 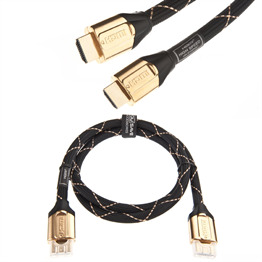 Though the connector cables of the HDMI cables are constructed from 99.99% oxygen-free copper conductor, they are plated with 24K gold to ensure both maximum connectivity and maximum style. 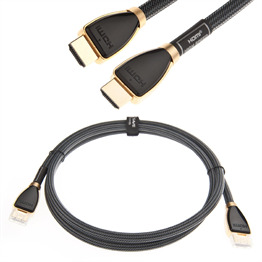 Featuring V1.4 HDMI compatibility, and backwards compatibility with V1.3C, V1.3B and V1.3 devices, as well as built-in Ethernet compatibility, this HDMI cable is a fantastic choice for anyone looking to get the most of their device. Whether you want to enhance a Smart TV or a games console, you’re sure to be satisfied with this ultra-reliable HDMI cord!